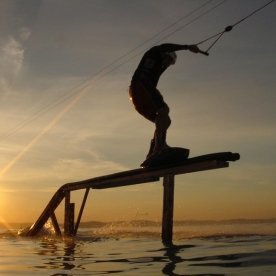 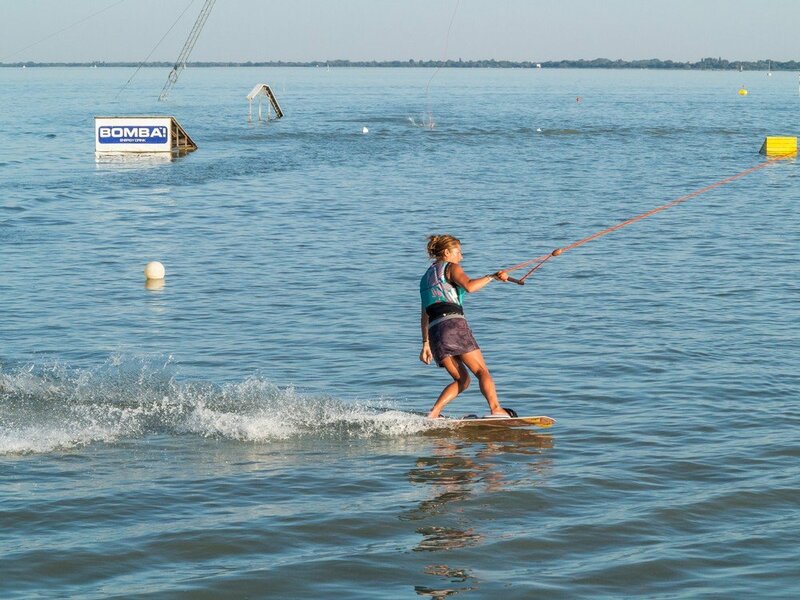 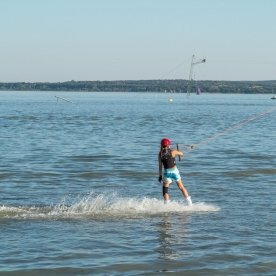 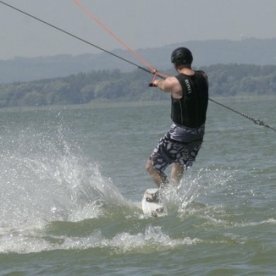 There are over 10 places in Hungary today where you can use drag-cable water-skiing and a wakeboard course, Lido Beach in Vonyarcvashegy is one of these. 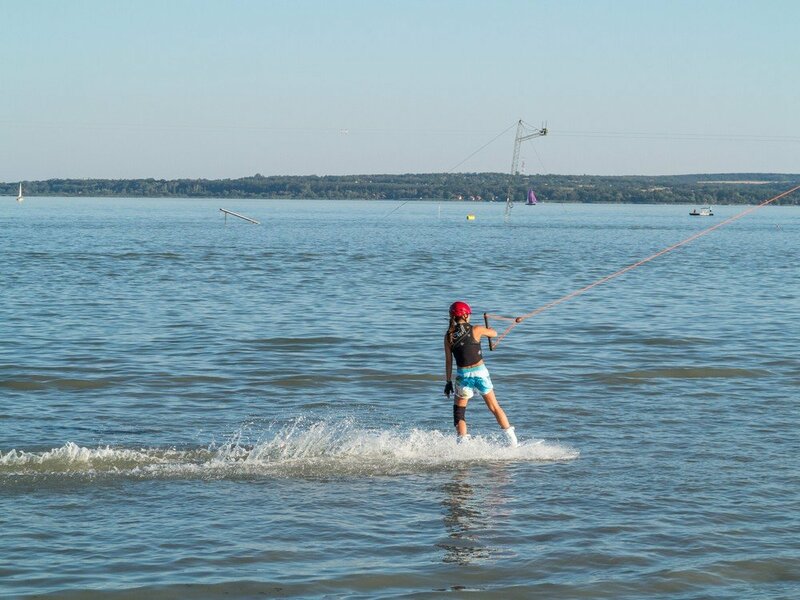 Thanks to these facilities, the experience of sliding upon water becomes accessible to an ever greater number of people, as you no longer need a motorboat or even own equipment. 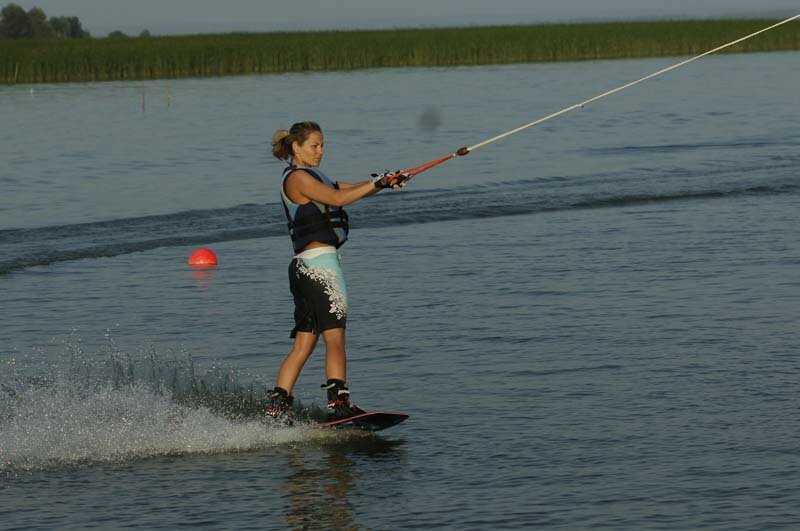 At water-ski and wakeboard courses, you can usually rent skis, boards and even a neoprene suit, if you need one. 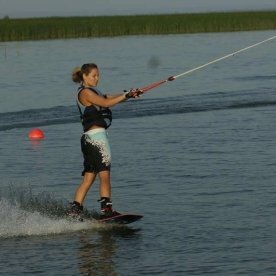 Nowadays, you can see an ever decreasing number of people waterskiing with parallel skis, the more often you see on the other hand the summer variation of snowboard, which is the much more popular wakeboard. 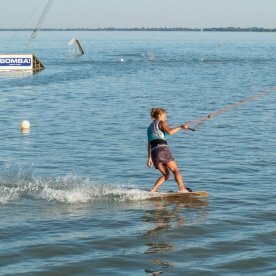 You can learn the craft of wakeboarding in the morning hours usually, when the drag-cable is set to a slower speed and beginners can get help and advice from the operators. 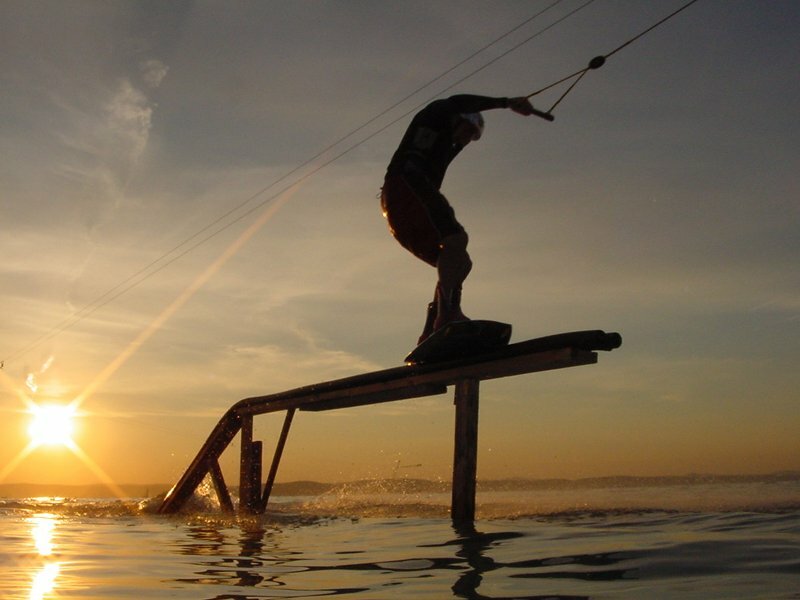 Wakeboarding, although its basics are easy to master, is rather qualified as an extreme sport, as advanced enthusiasts spice up their route with acrobatic elements. 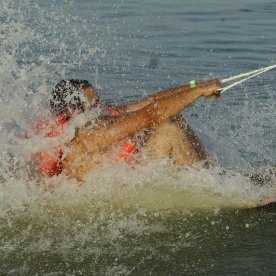 It is worth to visit water-ski courses and the competitions held there for the mere visual enjoyment, too.